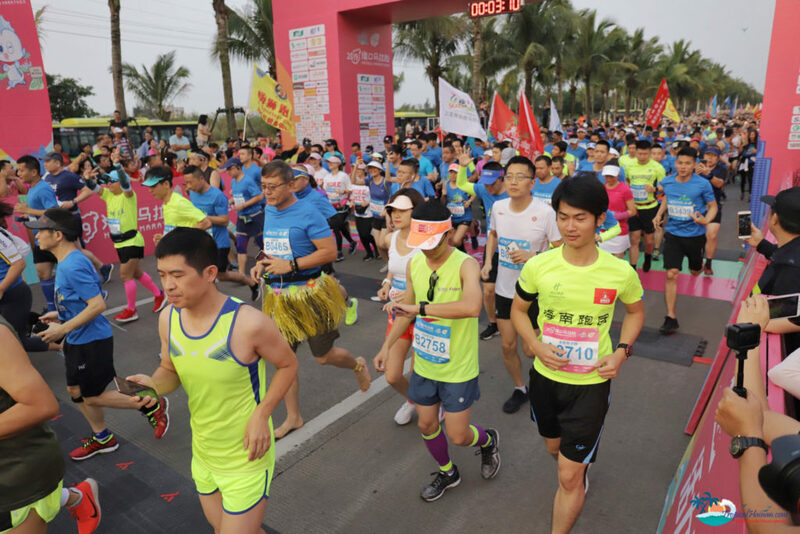 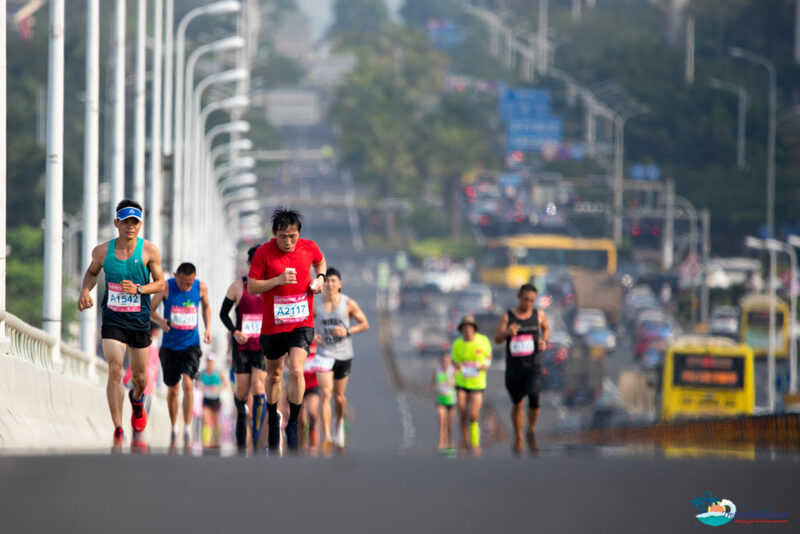 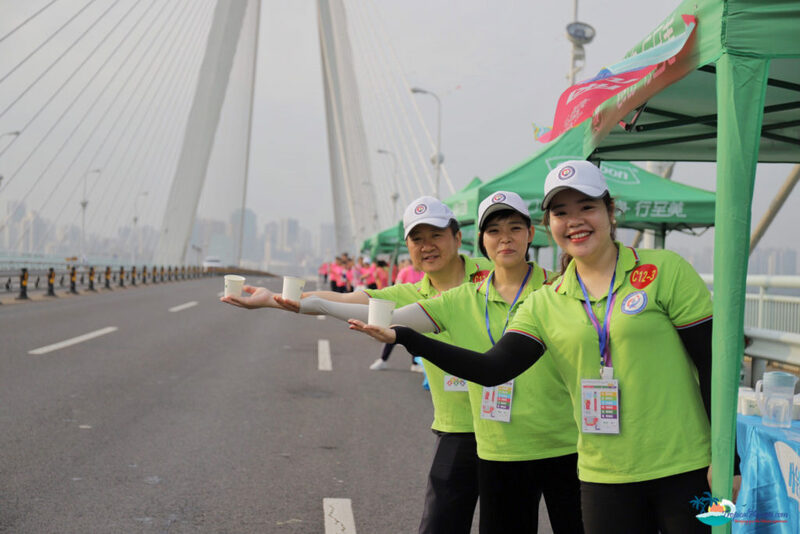 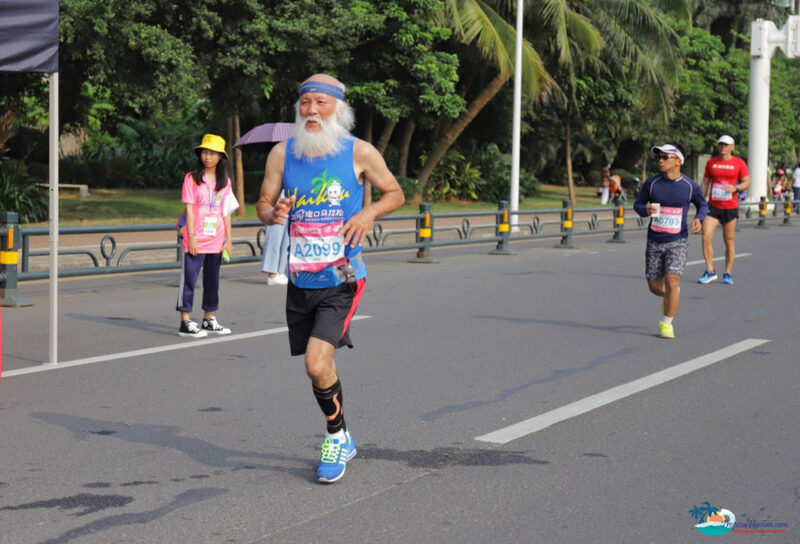 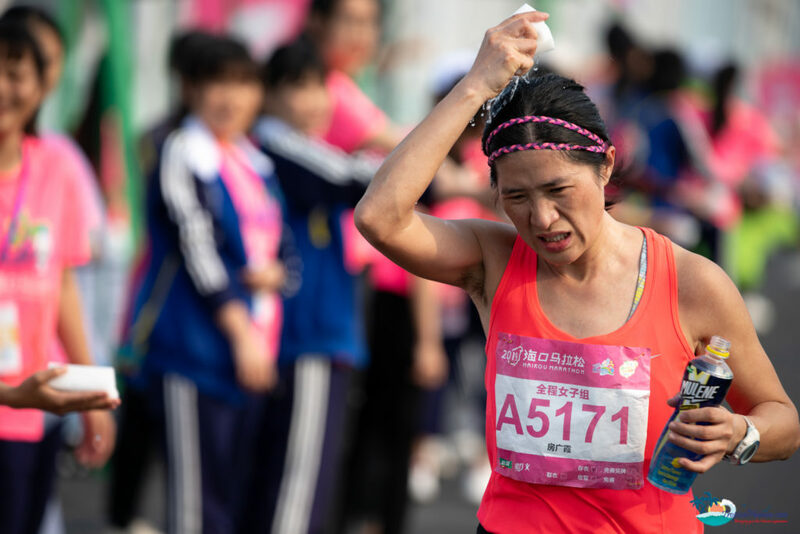 More than 10,000 people participated in the Haikou marathon this morning with the race starting at 7:30 am from the entrance to Meishe river wetlands park, located on Yei hai Avenue. 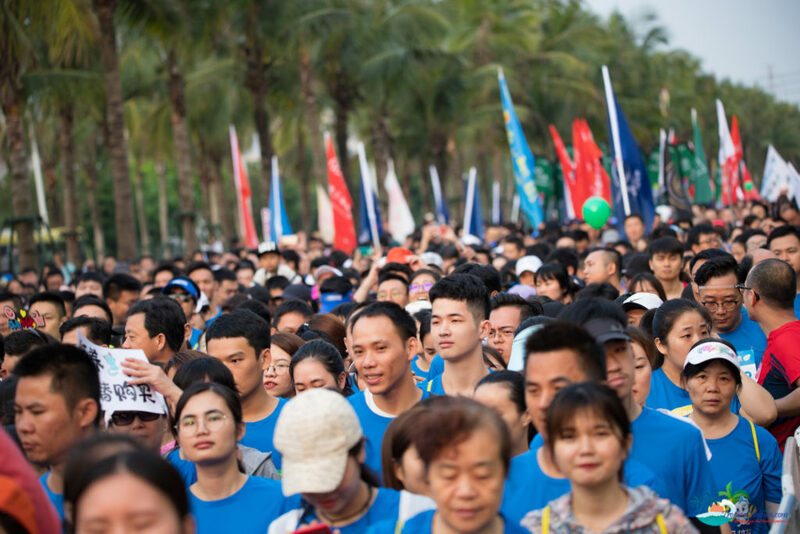 Runners began to line up from 6:30 am. 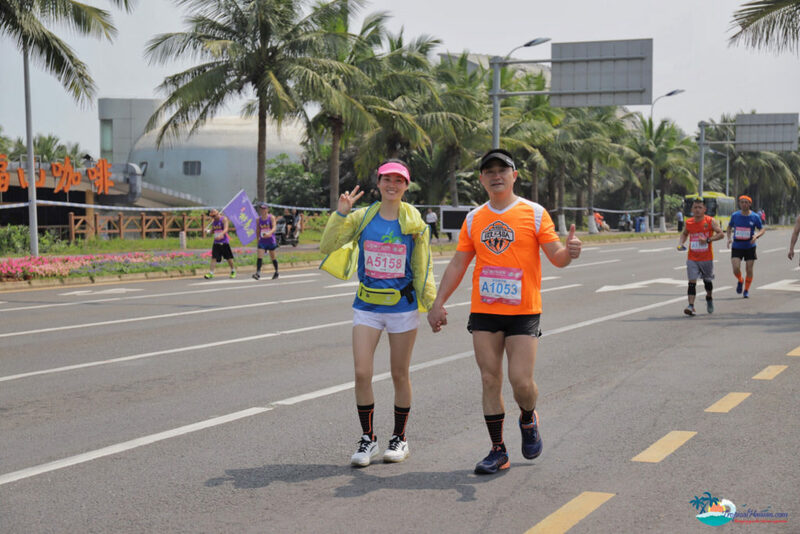 There were a total of three races, a full marathon (42.195km), a half marathon (21.0975km) and a fun run. 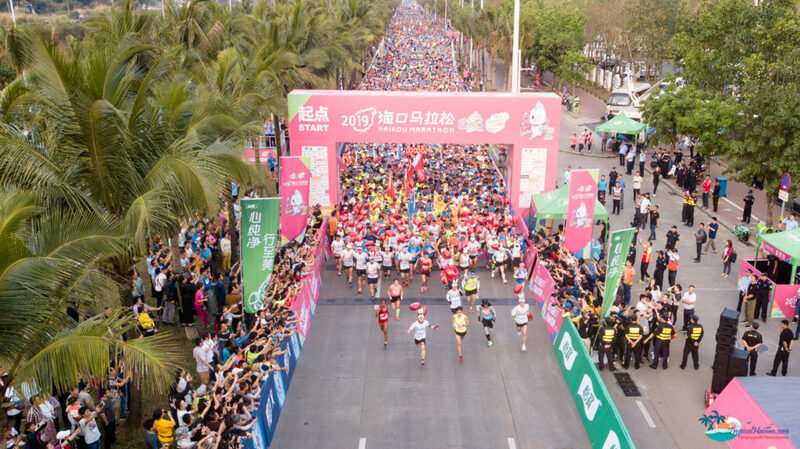 A total of 20,000 people registered for the event with the actual number of runners on the day being 13,403, including 27 international athletes from 14 countries. 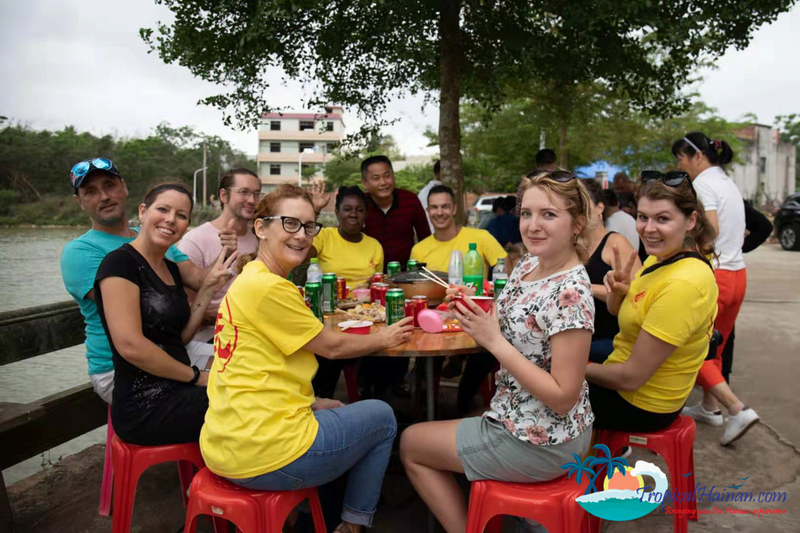 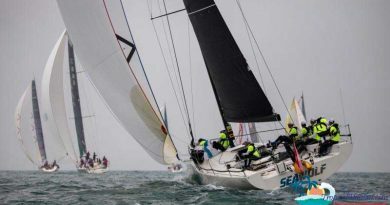 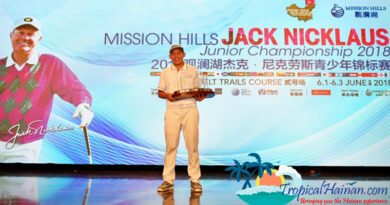 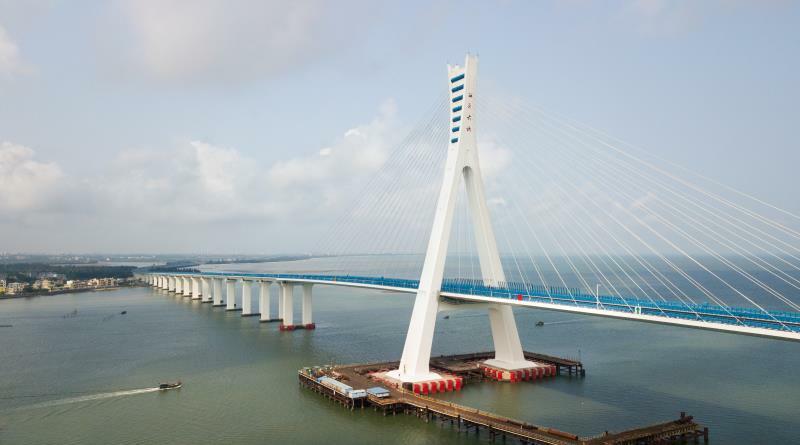 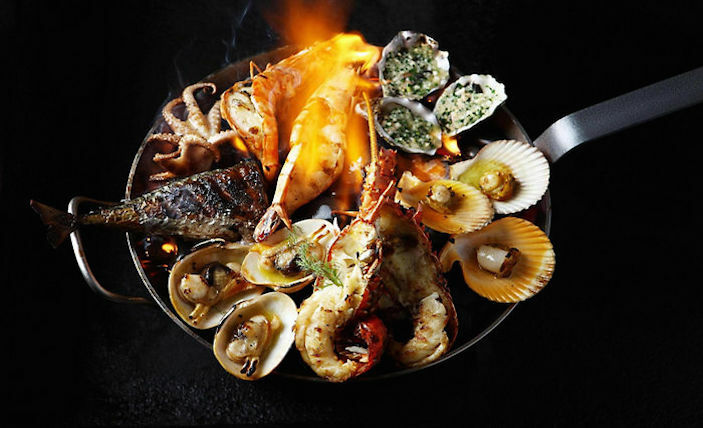 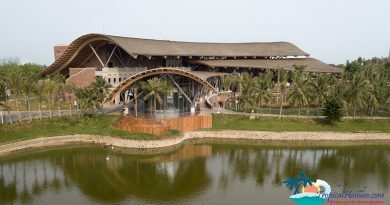 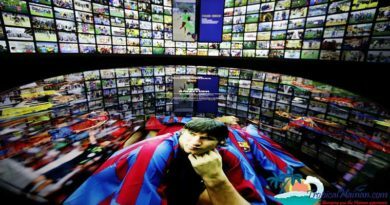 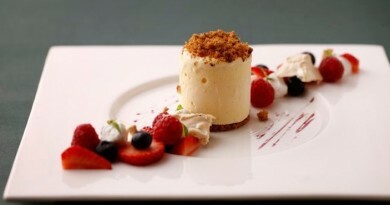 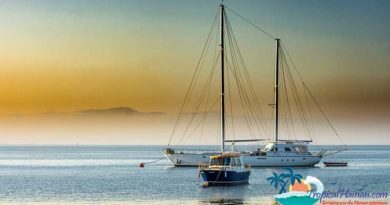 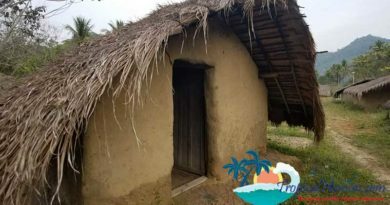 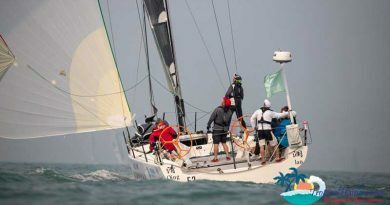 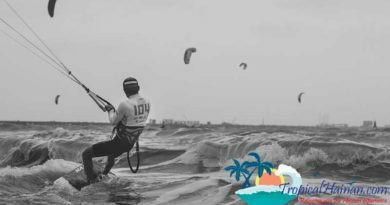 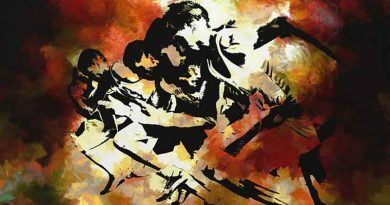 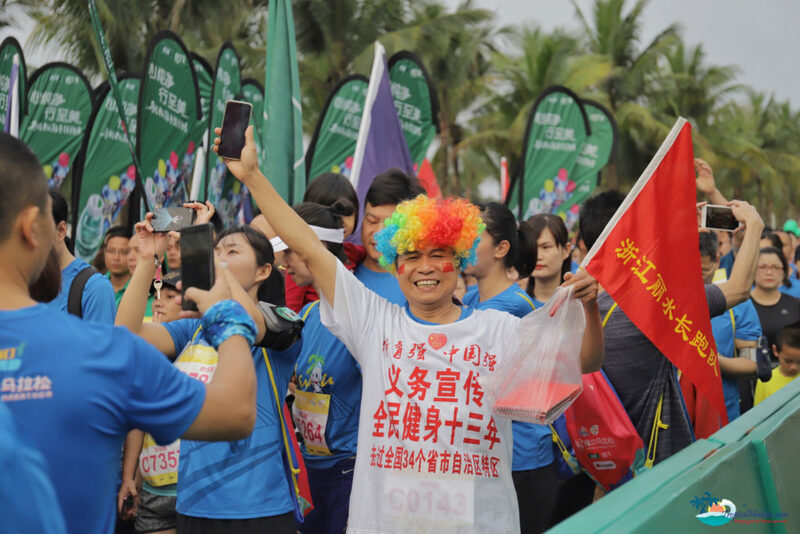 The competition was sponsored by the Hainan Tourism and Culture Radio Bureau, the Haikou Municipal People’s Government and the Haikou Municipal Culture, Radio and Television Publishing and Sports Bureau. 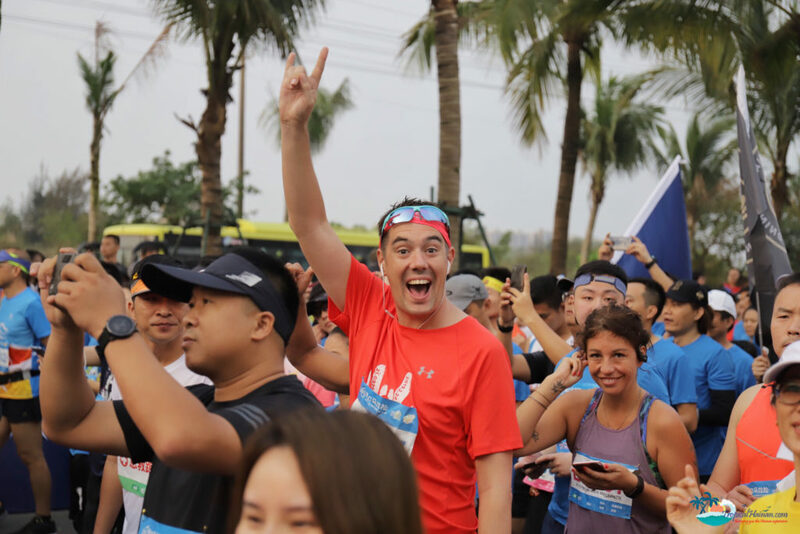 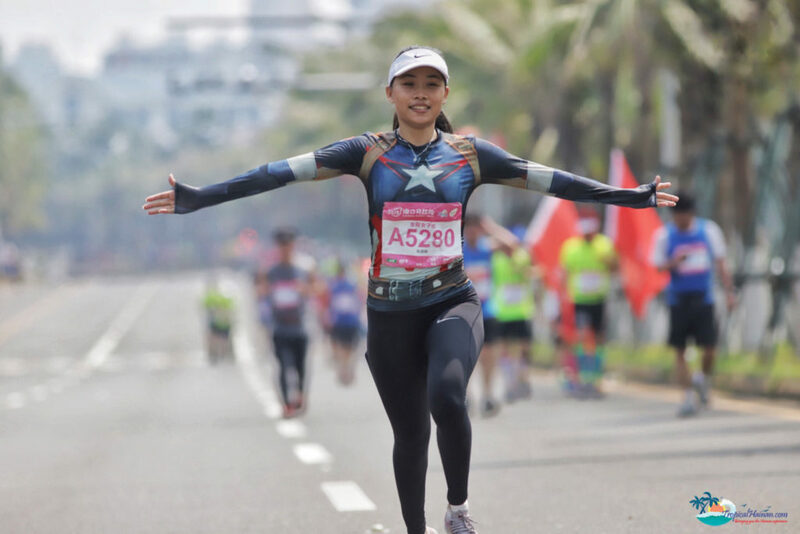 This morning, all athletes displaying their running numbers were entitled to ride all 137 Haikou bus routes free of charge. 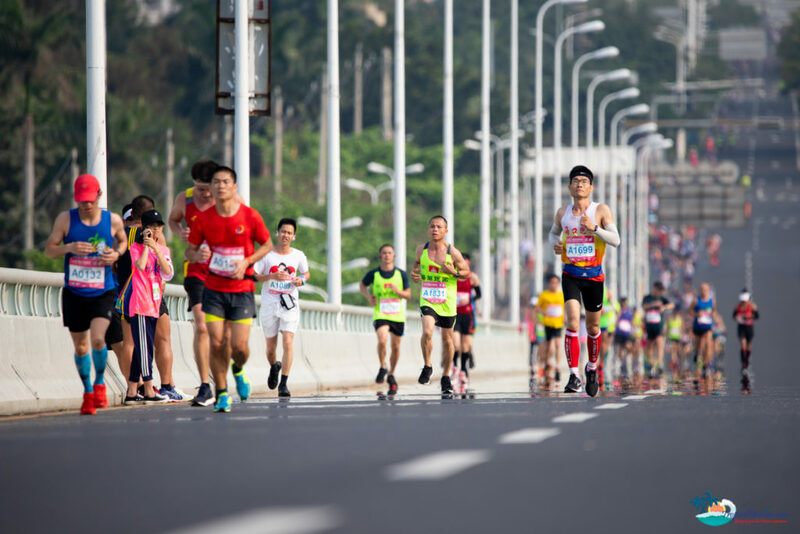 Many roads across the city were closed down for the event. 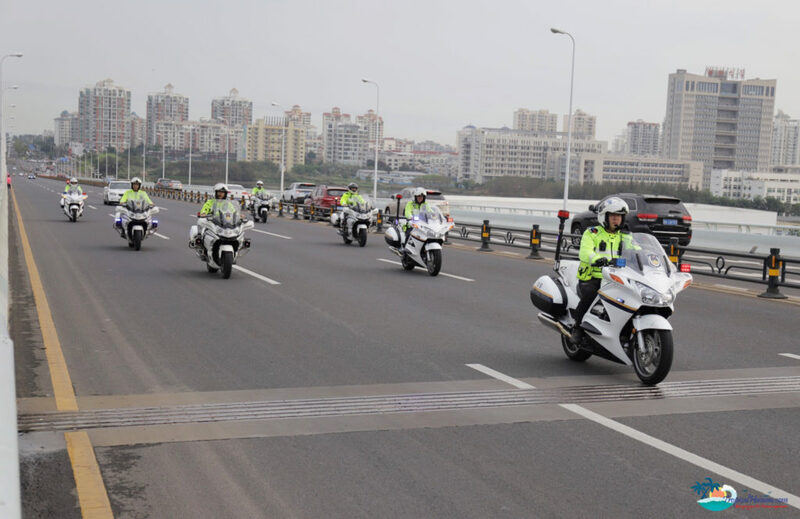 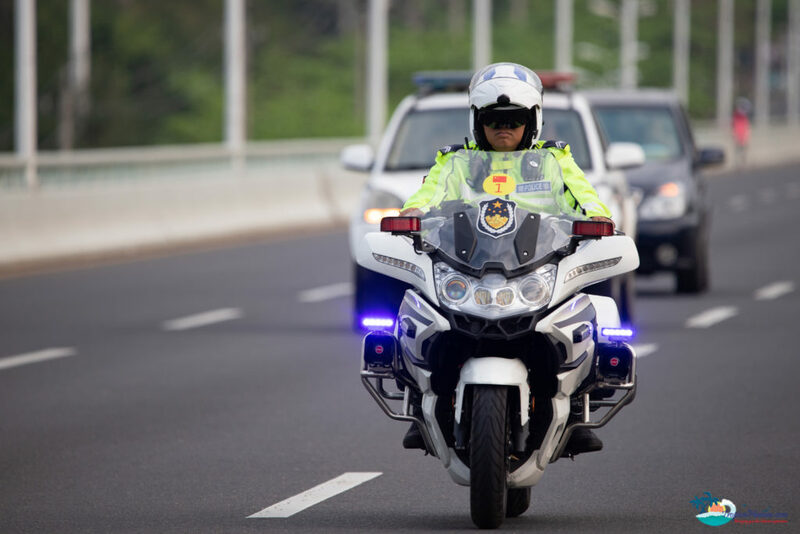 The Haikou traffic police were out in force and did and excellent job ensuring the safety of runners and maintaining the flow of traffic throughout the city. 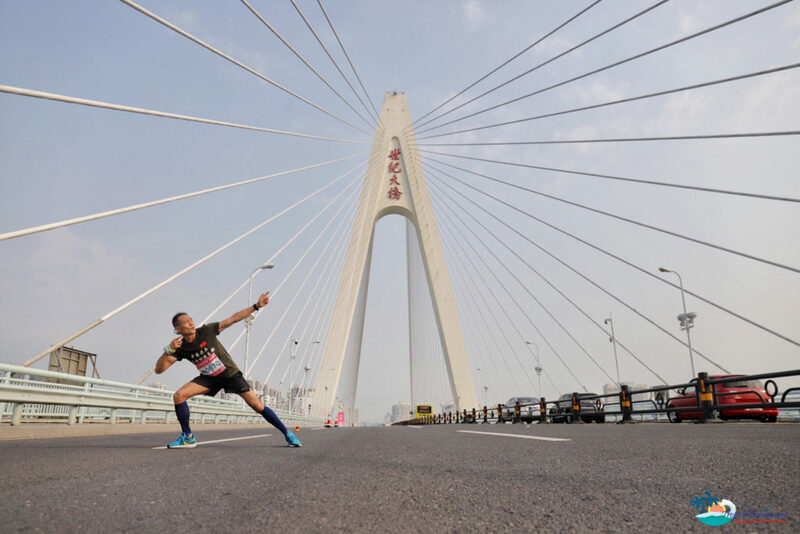 The classic Usain Bolt pose, replicated by one of today’s marathon runners on Century bridge. 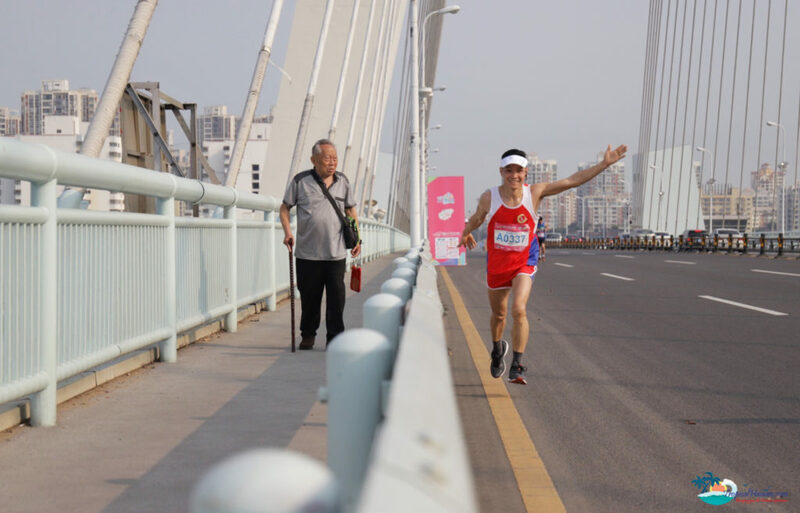 Front runners crossing over century bridge, a little over halfway for the full marathon at 25km. 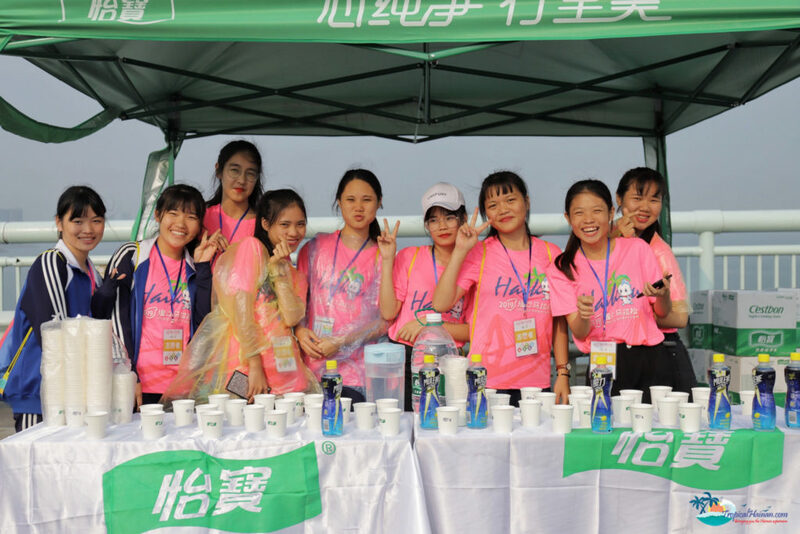 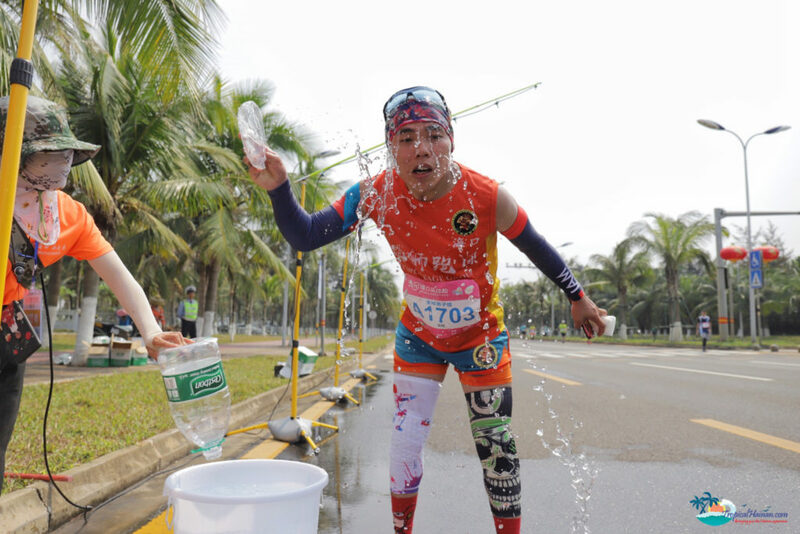 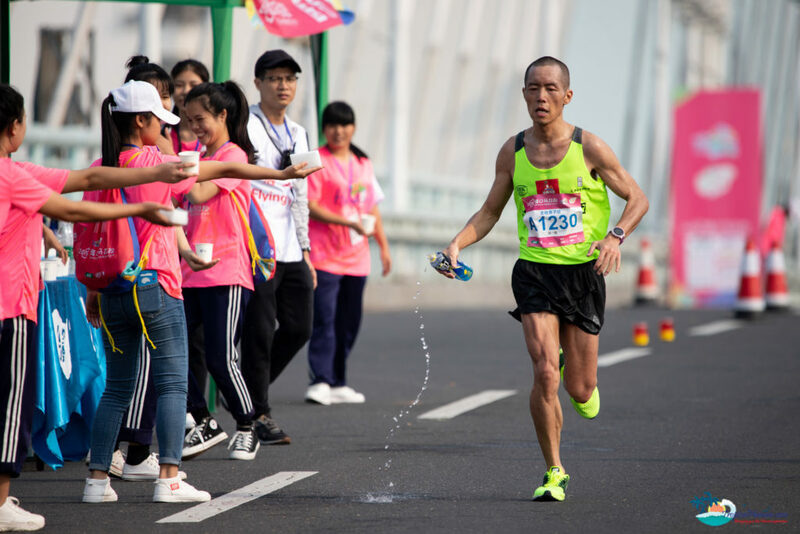 Young volunteers from schools and colleges across Hainan played an important role in keeping runners hydrated. 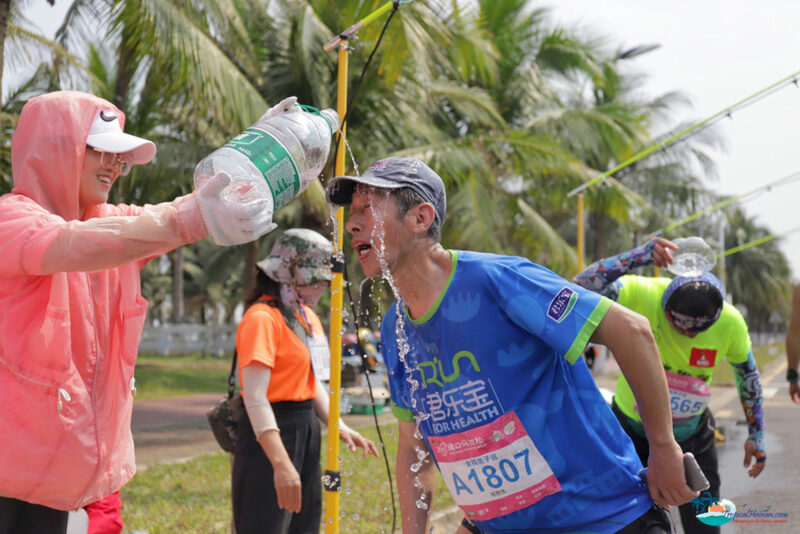 Runners pour water over their heads to cool down at the 36 km mark on Bin hai Avenue. 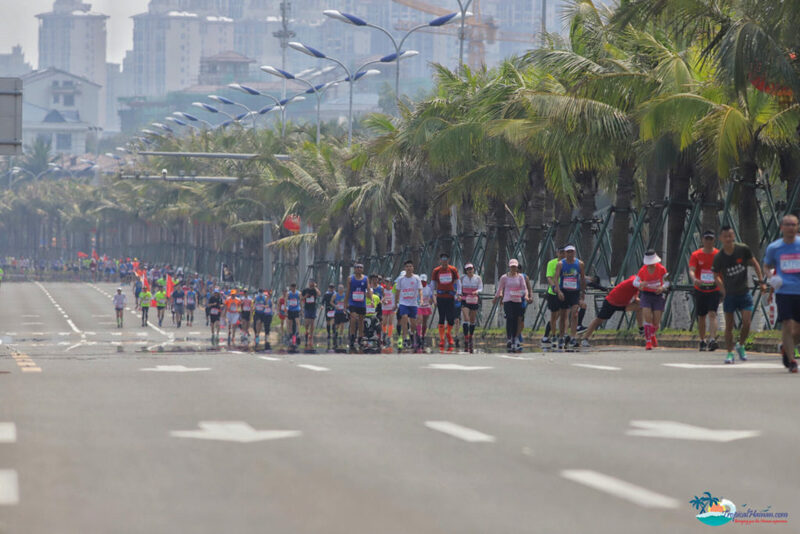 Runners stick to the shade under palm trees along Bin hai Avenue. 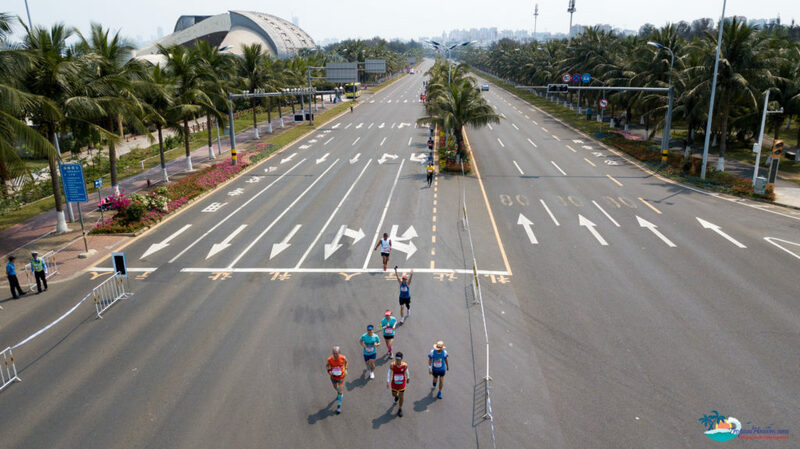 Runners along Bin hai Avenue. 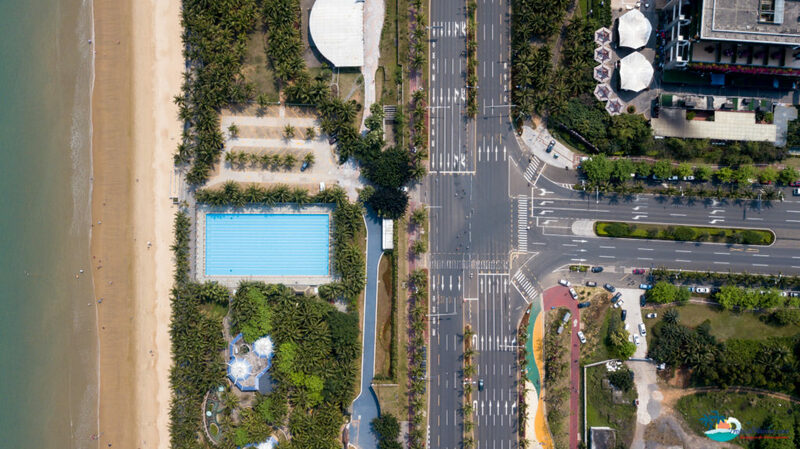 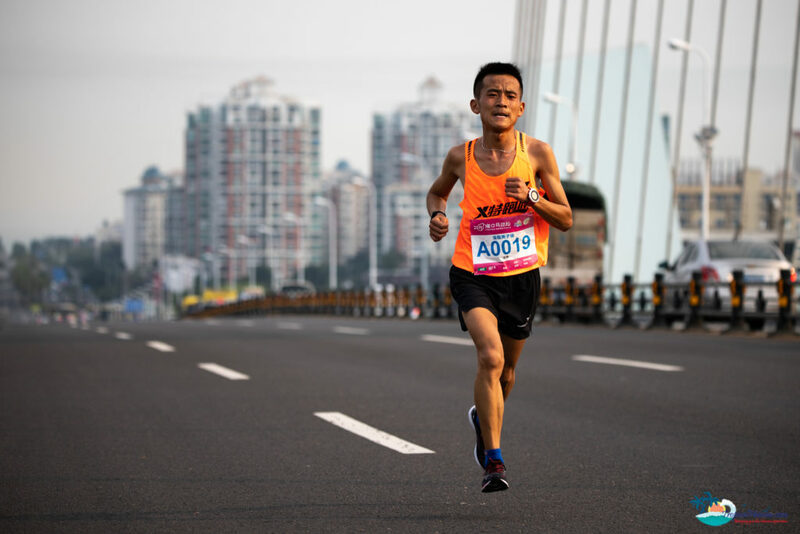 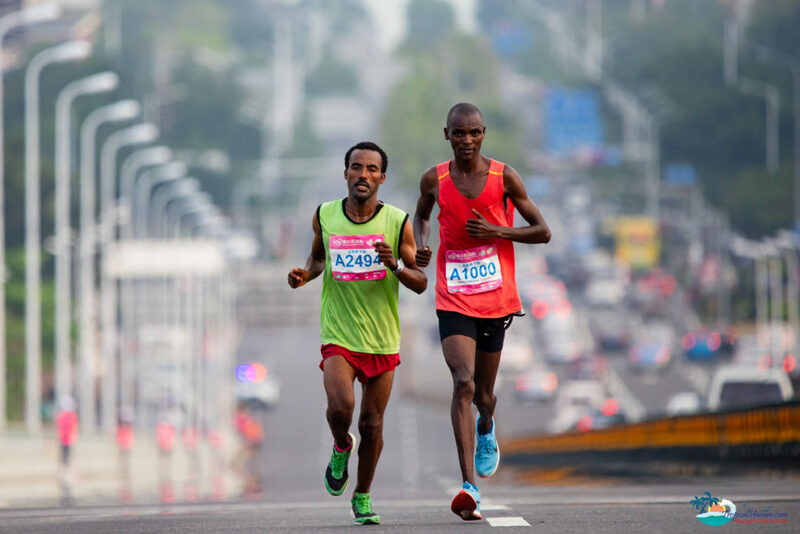 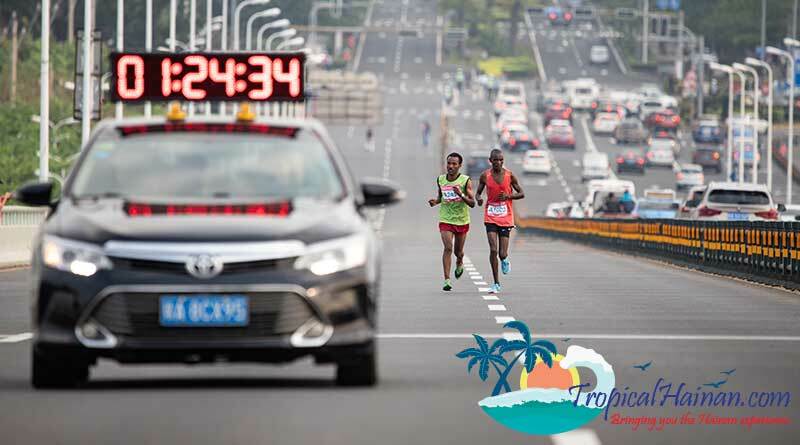 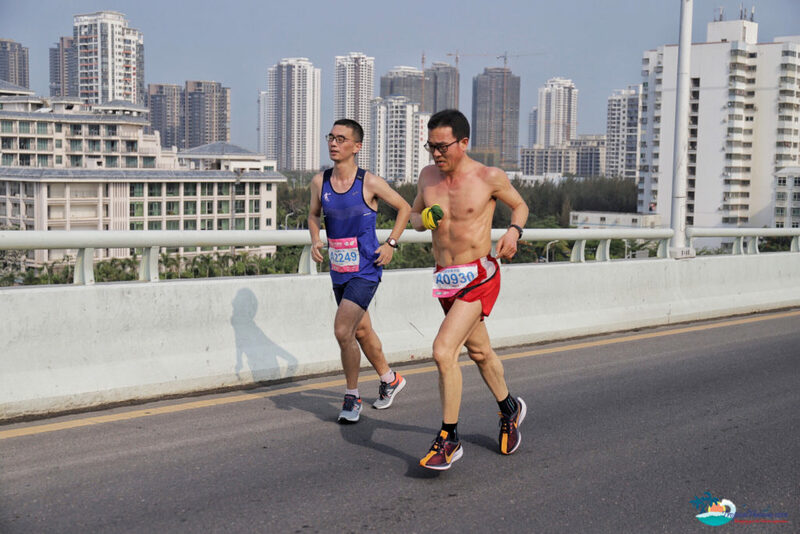 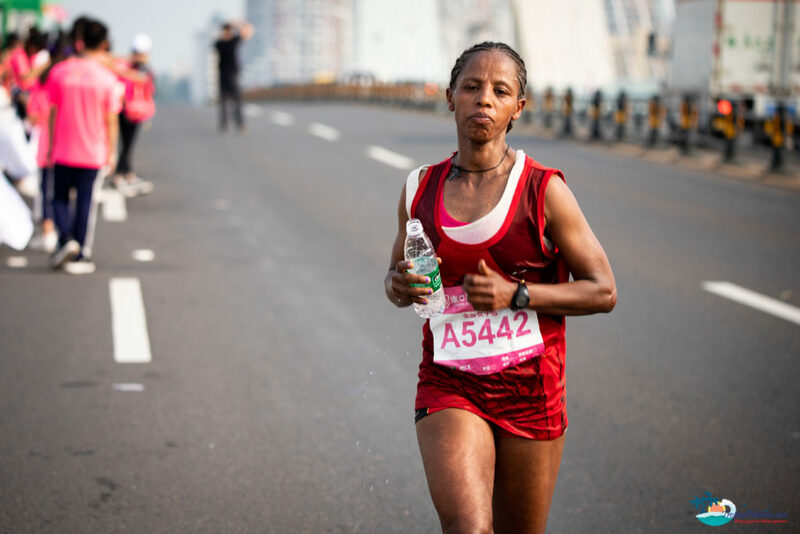 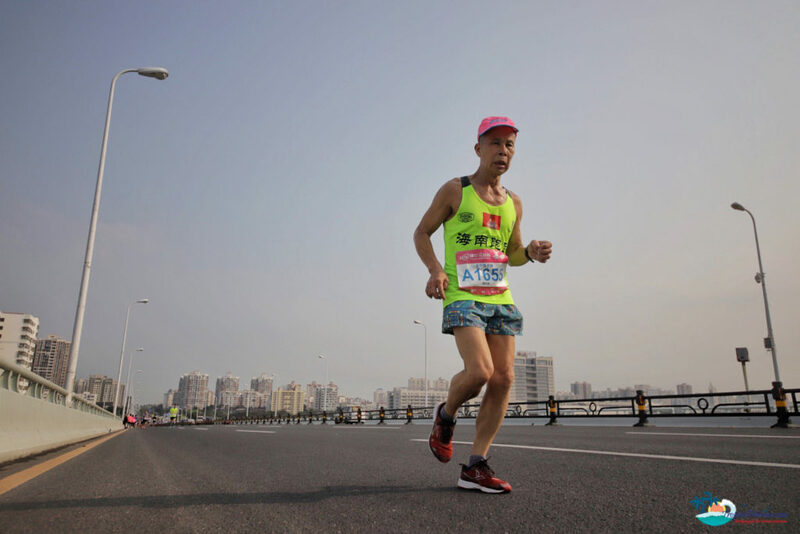 The final leg of the route took runners along Bin hai Avenue alongside Xi xiu and Holiday beachs, which during the heat of midday provided a nice a gentle sea breeze for the athletes.